Read Josh Elman’s breakdown of his definition of the job of a product manager: Help your team (and company) deliver the right product to your users. While many people describe a PM as CEO of the product, Josh takes a thoughtful, but different, perspective that emphasizes the importance of the whole team. We, too, believe strongly in the value of cross-discipline collaboration, and we’re thrilled to have Josh as a speaker for Startup Product Summit SF2. Sign up now and don’t miss the chance to hear him speak live! This entry was posted in Career, Product Marketer, Reposted Article, Summit Speaker and tagged Josh Elman. Creating Web Content for Enterprise Software Lead Generation | What is Product Marketing? The enterprise software sales cycle has changed. Because so much can be researched online, potential customers reach out to potential vendors later than they used to. Enterprise software sales organizations need to pivot to accommodate these trends and thoughtfully creating content geared towards driving lead generation is one tactic that can help. This entry was posted in 6 - Deliver, Content, Product Marketer, Reposted Article, Sales. Editor’s Note: This is a guest post by Brittany Martin, a product marketing manager and recent transplant to the Bay Area from Pittsburgh, PA. Prior to joining us in California, Brittany was a curator of StartupDigest, Pittsburgh. She just began a new PM gig at ReadyForce, and is thrilled to be on their team and on ours. Follow her @BrittJMartin and read her new blog, San Francisco via Pittsburgh. Join us in welcoming Brittany to San Francisco and to Startup Product! I wanted to learn about forums: how to create, moderate and monetize them. There are dozens of places on the internet that are eager to teach me but I chose to attend Forumcon 2013 in San Francisco instead. It proved to be a good decision. I was exposed to the thoughts and exercises from the people who are labeled experts on forums. After the intensive one day conference, I felt like I had compressed a crash course on forums in my head. Why was it such a success? Was it the expert’s advice? The excellent planning and accompanying materials? The excellent venue (and fabulous coffee that went with it)? While these certainly helped, the key for me was the conversations that I had in between sessions. The kind of conversations that lead to the killer question, “…and why are you attending this?” I was asked this so many times that I found myself revising my answer to an actual attainable goal. Then as I sat through sessions, I made meaningful connections to what I needed to learn to reach those goals. The conference attendees shared the experience of ForumCon in a way that was important. Regardless of your knowledge on forums, all of the attendees were treated equally. This made a beginner feel at home but there was enough content for intermediate levels to feel challenged. The world is making strides towards collaborative learning online but to me, those side in-person conversations will be hard to replace. This is another reason why I’m excited to be contributing towards the Startup Product Summit SF2 coming up on October 11th, 2013. Everyone will be encouraged to contribute their point of view, workshop their product dilemma, and share their lessons learned. The conversations between attendees will be just as meaningful as the ones between the attendees and speakers. Let us know in the comments what conferences you have attended and how they benefited you. I hope to meet you in person in October. Don’t forget to register for Startup Product Summit SF2! You have time left to get in on the Super Early Bird price. This entry was posted in Collaboration, Events, Guest Post, Original Article, Product Marketer and tagged ForumCon. Social business tools can help product and brand managers to become more engaged, transparent, and agile, leading to better business outcomes. IBM executive Ed Brill discusses IBMs social business journey with host, Cindy F.
Ed Brill is Director, Social Business and Collaboration Solutions, IBM. Brill is responsible for the product and market strategy for IBM’s messaging, collaboration, communications, and productivity products, including Lotus Notes and Domino, IBM SmartCloud Notes, IBM Sametime, Lotus Symphony, IBM Docs, and other related social business solutions. Brill’s focus is on extending and growing the success of these solutions through customer engagement, partner ecosystem development, and harnessing the breadth and depth of the IBM organization. Ed is the author of the IBM Press book, “Opting In: Lessons in Social Business from a Fortune 500 Product Manager”, published in January, 2013. In Opting In, you will learn how to be successful in social business, based on the strategy and lessons learned as IBM adopted a culture of transformation and engagement. Brill candidly shares the best practices, challenges, and results of IBM’s social business transformation. Opting In outlines the process of becoming a social business, through organizational commitment, cultural change, the right tools, and a strategy for engagement. Brill helps readers develop individual strategies and a roadmap for using social business tools, from time and place considerations, volume and amplification, offense and defense considerations, through building an army of advocates. This entry was posted in 6 - Deliver, Broadcast, Customer Growth, Product Marketer. There’s little reason to track a random engagement metric if you don’t know what your MRR or churn is. This entry was posted in 6 - Deliver, Metrics, Product Marketer, Reposted Article, Scaling and tagged KISSmetrics, Lars Lofgren. The product marketing management function exists to increase current product ROI, identify opportunities for new product iterations, manage the value proposition via positioning of the product, and create the business case for remaining competitive in the current market conditions in front of changing winds and future trends. What may have previously fallen under the umbrella of the product marketing function, is gaining attention in the blogosphere with sexier names, such as Agile marketing, growth hacking, or customer experience management. These may be new approaches, but they are grounded in the product marketing management function to increase current product ROI, identify opportunities for new product iterations, manage the value proposition via positioning of the product, and create the business case for remaining competitive in the current market conditions and future trends. 1. Step away from the product. This entry was posted in Product Manager, Product Marketer, Reposted Article. I love how Sravish was in real-time discussions himself. Frequently when a CEO jumps in, the credibility factor goes up and journalists pay more attention. But most CEOs are “too busy” and leave “that PR stuff” to staff. This entry was posted in Product Marketer, Reposted Article and tagged David Meerman Scott. 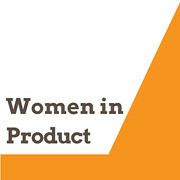 This talk will cover how to plan and execute your product marketing in 2013. “I’m looking forward to sharing thoughts and ideas with the Global Product Management community. I hope to provide information that product managers and product marketers can apply to their jobs – and more importantly, learn new things that I can apply to mine, ” shares Dennis. Monday, April 15, 2013 at the simultaneous times of 10:00 AM Pacific Time, 11:00 AM MST Denver, 12:00 Noon CST Chicago, and 1:00 PM EST Boston. At INXPO, Dennis is responsible for go-to-market strategy and execution, and for shaping product and platform evolution via the “voice of the customer.” Dennis has managed virtual event campaigns for Cisco, HP, Oracle and Microsoft, among others. Dennis blogs about virtual events at INXPO, and on his personal blog, “It’s All Virtual” (http://allvirtual.me). Dennis can be found on Twitter at @dshiao. The Global Product Management Talk is a discussion of vital issues affecting professionals passionate about products, business process, product management, startups, marketing, innovation and excellence. This entry was posted in Broadcast, ProdMgmtTalk Speaker, Product Marketer and tagged Dennis Shiao, INXPO. Jason Goldman helped build Google and Twitter into what they are today — but few outside of tech’s inner circle know his name . On shunning the spotlight in a star-obsessed industry. He was explaining the product manager’s role, and not exactly overselling it. the one that goes and takes the meeting with the person no one else wants to meet with,” he said of his early work in the field. Product managers are sometimes said to oversee discrete components of a company, like feudal lords in a kingdom. But for many P.M.s, Goldman’s assessment is closer to reality. Troubleshooting behind the counter is perfect training for a product guy, overworked and unsung. If it sounds less plush than the chief executive’s chair, that’s because it is. At strategy sessions, he said, the C.E.O. would articulate a broad but pithy vision, and sit down to applause. “I’m the guy who stands up next, and says what does that mean in terms of what we’re building over the next six months,” he said. That’s the gritty work of fielding questions, farming out assignments and reconciling disagreements. “Your presentation doesn’t sound as good. Your presentation doesn’t have grand, inspiring goals,” Goldman went on. “You’re the guy who stands up and says, next week we’re going to fix a bunch of bugs. Product managers, in this view, are agnostic to the idea, so long as they’re assiduous in its completion. They’re almost the inverse of how we conceptualize the ideal C.E.O. “He wasn’t the idea guy, as maybe some product people are,” Williams told me of Goldman. “He’s not necessarily defining what we need to do, he’s just making sure it got done. I don’t know that it’s a typical relationship, but it’s probably not super uncommon,” Williams added. 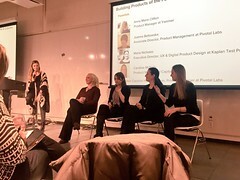 In a boardroom crowded with idea guys, where “the very notion of what the product was would evolve,” said Goldman, “owning the whatness of the product” might sound humdrum, but it was by most accounts critical. Shepherding products to fruition is like working your way up to Bowser, protracted, hard-fought and without many hosannas. “The industry’s very focused on telling hero narratives,” he told me. It’s not that I think that it’s bad for people to have a public persona. Williams tends to agree. “I don’t want to say founders are overrated, but there are certainly a lot of people who are underrated. And Jason was definitely in that camp,” he said. “Startups are run by people who do what’s necessary at the time it’s needed. A lot of time that’s unglamorous work. A lot of times that’s not heroic work. Is that heroic? Is that standing on a stage in a black turtleneck, in front of 20,000 people talking about the future of phones? 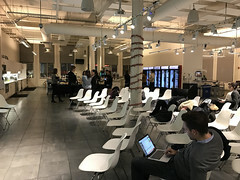 This entry was posted in Industry News, Product Marketer, Startup Culture, Story and tagged Google, Jason Goldman, Twitter.